There was a strong crowd of 70ppl from the Hendersons Group at Lough Erne Golf Resort for a fantastic night of entertainment of the ever popular Generation Game Quiz Night with Team Challenge Company.We kicked of the evening with everybody getting up out of their seats for a round of Hit & Miss and after a couple of songs the teams where getting settled in and rowdy especially Team 4! After a few rounds we started losing a few Teams who were saying before we started that the trophy is there's. I wasn't going to name them but they were the biggest hecklers of the evening Team 5! But after all the shenanigans Team 1 came out victorious in the opening round. With the next Generation quiz rounds briefing over and 10 mins on the clock the teams got their skates on for the next round, which was Giraffe build. 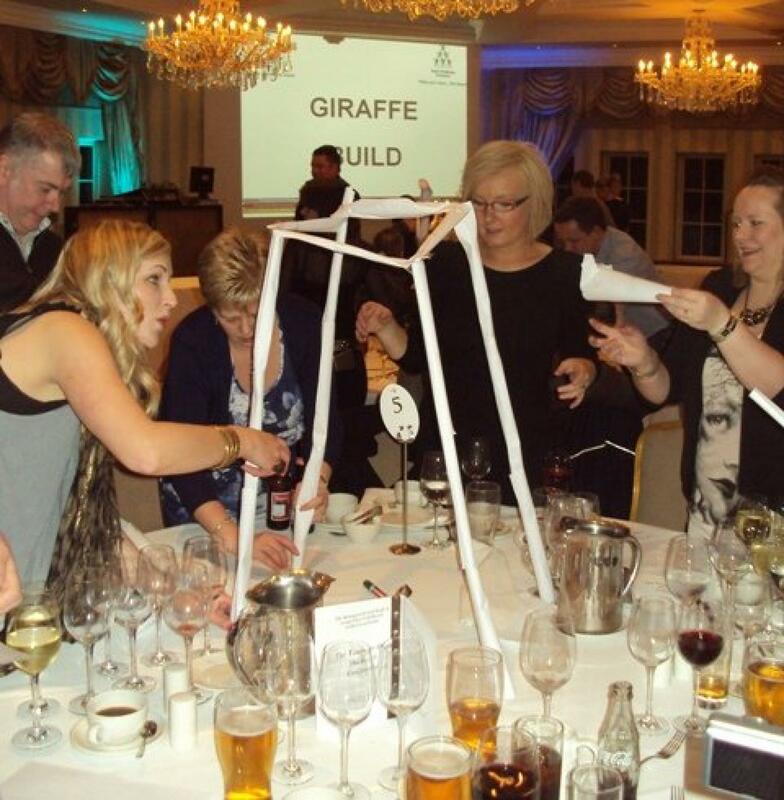 The task was to build a Giraffe but looking at some of the things that came up for scoring, it was no surprise that Team 1 won again. 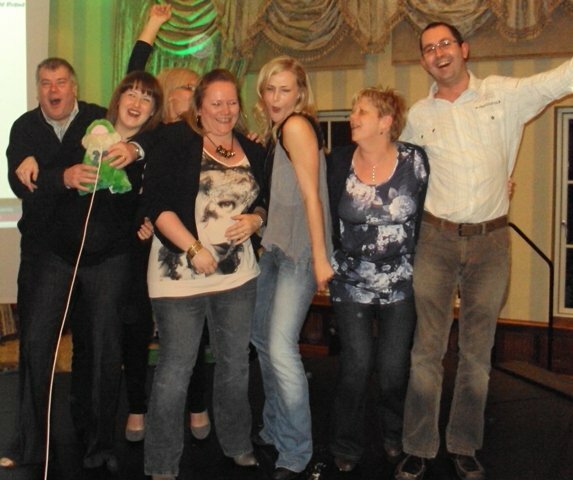 Team 2 couldn't even get themselves together with one team member dancing around the stage waving tape in teh air and Glen giving out orders it was always going to go wrong ha ha..The next Generation Game round was the hilarious round of potato peel and coming from being close to last place Team 3 and Team 6 were the fastest peelers in Enniskillen that night. 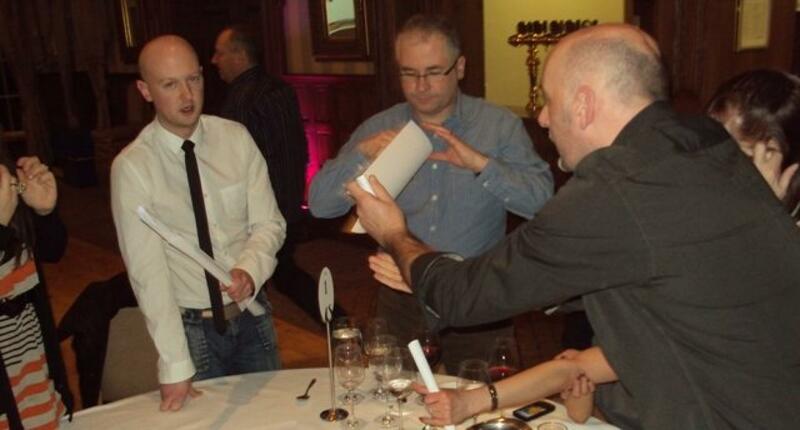 What a great night's craic - it was like a kids birthday party for grown ups ! 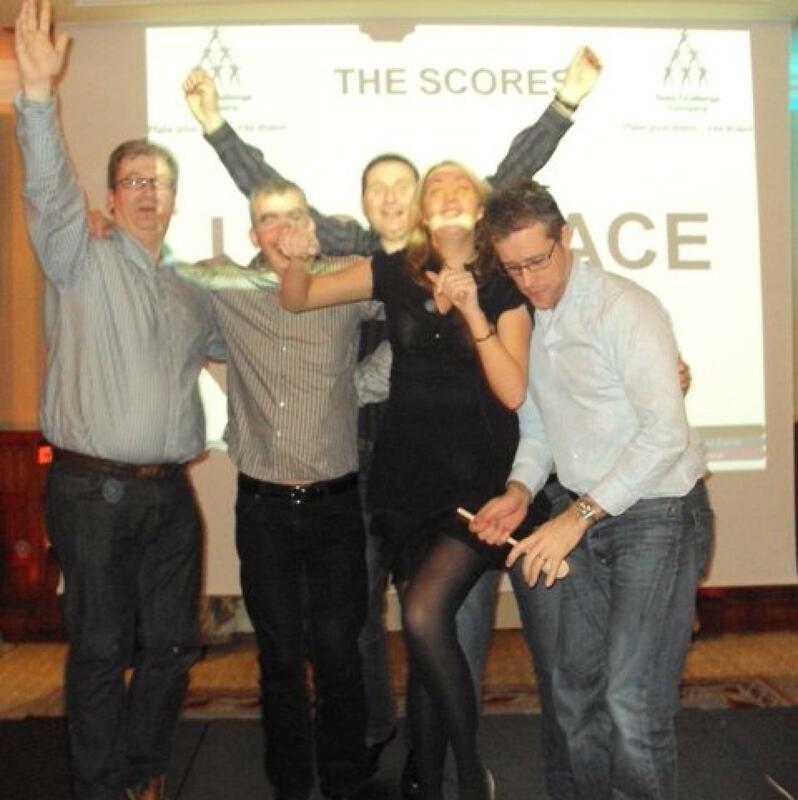 Mind you there seemed a distinct lack of mature and sensible adults by evening end !! Justine - you did fantastic ! And thanks again to Team Challenge.